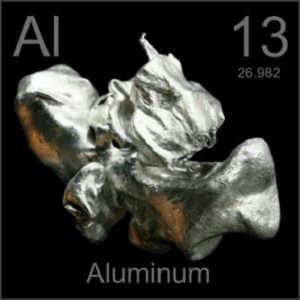 Compared with other metal elements we discussed about before, Aluminum is discovered much later. 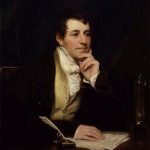 In 1808, the British chemist Sir Humphry Davy confirmed the existence of alum and named the substance to Alumium (later changed to Aluminum). In 1825, Danish chemist and physicist Hans Christian Ørsted began experimenting about aluminum extraction. However, it was not until 1827 that Friedrich Wöhler reduced the molten anhydrous aluminum chloride with potassium metal to obtain a purer metallic aluminum element. However, as Wöhler’s method could not yield great quantities of aluminium, the metal remained rare; its cost exceeded that of gold. It is for this reason that aluminum was in a high position at that time. It is said that at a banquet, the French emperor Napoleon used aluminum knives and forks alone, while others used silver tableware. Also, the king of Thailand once used an aluminum bracelet. 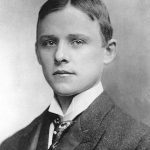 In 1886, French engineer Paul Héroult and American engineer Charles Martin Hall, respectively, independently electrolyzed a mixture of molten bauxite and cryolite to produce metal aluminum, which laid the foundation for large-scale production of aluminum in the future. Since then, the status of aluminum has changed completely, mainly in two aspects: first, it is mass-produced and is no longer regarded as a precious metal; the mass production of aluminum in industrial and domestic applications has gradually replaced the use of other metals such as steel and copper in many fields. At present, the aluminum industry has problems such as overcapacity and insufficient utilization, so the development prospects of the aluminum industry in the short term are not optimistic. However, due to the abundant reserves of aluminum in the earth’s crust and the advantages over other metal elements, aluminum will have extremely broad application prospects in the future. For example, automakers are currently exploring the use of large-area aluminum alloy instead of steel to make the car lighter. With the advancement of technology, aluminum alloy products will not only grow rapidly in traditional applications such as aerospace, transportation, electronic power, and construction, but will also grow rapidly in other new fields. This is a history column of SAM Sputter Target, aiming at introducing the history of different metals. If you are a metal lover or history lover, you can follow our website. For previous posts of this column please search the keyword “history”. Thank you so much for providing individuals with remarkably wonderful possiblity to read critical reviews from this website. It is usually so awesome and also stuffed with a lot of fun for me personally and my office mates to search your site at the least three times in a week to study the newest guidance you have got. And lastly, we are at all times contented concerning the mind-boggling tactics you give. Some 1 points in this post are in truth the most beneficial we’ve had. A lot of thanks for your whole labor on this web page. My mother takes pleasure in carrying out research and it’s obvious why. Most of us learn all relating to the dynamic way you give very helpful items via the blog and strongly encourage contribution from some other people about this situation then our own child has been understanding so much. Take advantage of the remaining portion of the new year. You have been performing a fantastic job. I would like to point out my appreciation for your kindness in support of visitors who require assistance with this important subject matter. Your special commitment to getting the solution all through has been remarkably powerful and has really allowed girls like me to reach their objectives. Your personal useful key points denotes this much to me and much more to my office workers. Best wishes; from all of us. I am just commenting to make you understand what a magnificent encounter my cousin’s child went through checking your blog. She figured out too many details, which included what it’s like to have an amazing giving style to have many people with no trouble understand chosen extremely tough matters. You undoubtedly surpassed visitors’ expectations. I appreciate you for supplying these great, trusted, explanatory and even cool thoughts on the topic to Lizeth. I wanted to send you that little bit of note just to thank you once again for your wonderful techniques you’ve documented in this article. This is certainly remarkably open-handed with you in giving publicly just what a number of us would’ve distributed for an e book to generate some money for their own end, precisely now that you could have tried it in case you decided. These inspiring ideas likewise acted like the great way to be aware that other individuals have a similar keenness much like my very own to grasp many more pertaining to this issue. I’m certain there are some more pleasant sessions up front for people who check out your site. I’m just commenting to let you be aware of what a fine encounter our child found checking your blog. She figured out too many pieces, with the inclusion of what it is like to possess a wonderful coaching heart to have other individuals quite simply fully understand various hard to do subject areas. You really exceeded visitors’ expected results. Many thanks for giving these valuable, trustworthy, revealing not to mention easy tips about your topic to Ethel. Thank you so much for giving everyone a very wonderful chance to read in detail from this site. It is often very good plus full of a lot of fun for me personally and my office friends to visit the blog at least three times in a week to read through the newest issues you will have. And lastly, we are certainly fascinated with your good information you serve. Some 2 areas in this article are essentially the best I have ever had. Next Next post: What is Target Poisoning in Sputtering Deposition?